What makes these affordable traditional rear-loading frames so appealing to both customers and in store promoters? 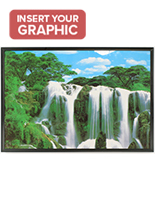 The wall mounted picture displays provide users with a modern looking presentation option at a very reasonable price. Metal photo fixtures are crafted out of durable materials to withstand frequent use and many different advertising campaigns. Despite the ruggedness of the designs, the sign framing is surprisingly lightweight. Marketers will not experience any issues positioning and repositioning the graphics to the appropriate position on the display surface. 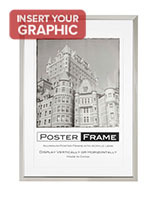 These wall mounted traditional rear-loading frames for artwork and signage, frequently referred to as back load poster holders, include anchors on the backside to easily attach the sign to desired space. 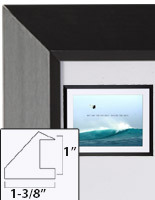 Metal photo designs will not damage the wall even though the units are so rugged. Sign fixtures come in different styles to best suit the atmosphere of the establishment and the advertising content. 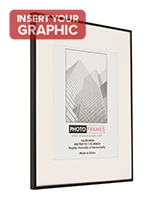 These traditional rear-loading frames are wall mounted picture displays available with the modern black or silver finish. 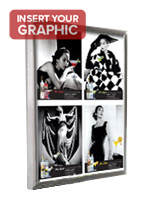 The back load poster holders feature different profile widths and designs to add a little panache to the overall look of the picture. Styles with intricate decorations can even be used within the home. 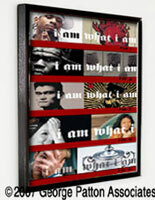 Wholesale frames make it simple to install and secure the photo or signage into the designs. 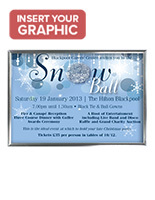 The back load poster holders may be purchased in different sizes to accommodate the desired graphic. 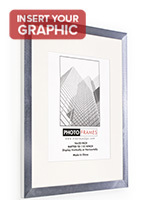 These frames are capable of mounting in landscape or portrait position to fit the orientation of the photo. Wall mounted picture displays help generate some buzz about new products, services, brands or other information in the store. 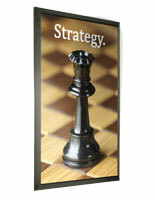 What types of businesses use the back load poster holders to advertise signage? These traditional rear-loading frames are suitable for all sorts of establishments with large pictures to present to clients. 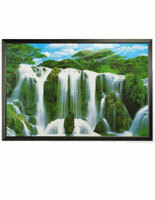 The wall mounted photo displays are commonly found in retail stores to showcase the latest wares available for purchase. Customers like to see the flashy graphics depicting the models wearing the newest styles or using the items. Companies offering a service usually have designs for big signs on hand. Banks and financial institutions can advertise the current interest rates to interested recipients. 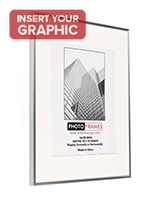 The wall mounted photo displays may even be used to provide an inviting atmosphere in a hospital, office, school or eatery. The photo cases can be used to present artwork to patrons. Establishments ranging from professional galleries to homes are able to place their collections on the wall with the signage displays. Many movie theaters use the industry standard 27" x 40" print displays to advertise the released and upcoming films. These traditional rear-loading borders allow users to insert the advertisements in a manner that should be very intuitive to new and experienced promoters. The framing requires managers to open up the back to install the content. Simply remove the sign displays from the wall and undo the retaining clips on the backer. 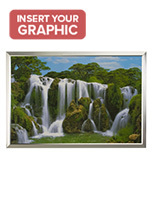 Users can position the pictures in the framing to ensure the contents are in full view. Borders are then ready to re-attach to the wall. 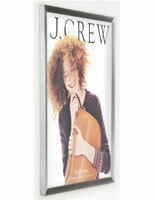 Signage displays include a lens that will protect the content from potential damage. Merchants do not need to remove the front when inserting a new graphic into the borders. Holders with this design allow advertisers to present the important content in almost no time.